The Zimbabwe Revenue Authority has suspended its commissioner responsible for investigations, Charles Jaure, with immediate effect after he was implicated in a bribery case in which he allegedly demanded a bribe from a whistleblower who had exposed improper financial dealings at NetOne. Zimra Commissioner General, Ms Faith Mazani, yesterday confirmed in a statement that Jaure had been suspended to pave way for investigations. She indicated that they had learnt from media reports that a report on bribery allegations involving Jaure had been made to Zacc. “Zimra is doing its own investigations on the matter. “The official in question has been asked to proceed on leave of absence to allow investigations to be carried out. Zimra will give Zacc any support they require as they carry out investigations into the matter,” she said. Meanwhile in an interview yesterday, Zacc Investigations Committee head, Commissioner Goodson Nguni said investigations were still continuing. “We are still looking into the issue,” he said. The report against Jaure states that in 2017 he allegedly demanded a bribe from the whistleblower to expedite his payments after he reported NetOne for tax evasion of non-resident tax, withholding tax, value added tax, income tax, special exercise due on airtime and pay as your earn in 2015. 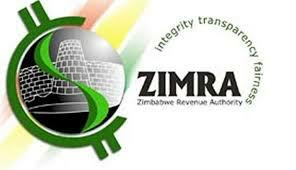 The whistleblowing resulted in Zimra allegedly recovering about $18 million. A Zimra investigations team that was looking into the issue then sought to reduce the figure to $8 million, which the whistleblower who was entitled to 10 percent of the amount recovered, challenged resulting in the suspension of another top Zimra official before the matter was handed over to Jaure, who alledgedly asked for a bribe from the whistleblower to facilitate payment of the $1,8 million that was due to him. The whistle blower was then paid $73 000 out of the $1,8 million. “I refused to accede to his demand for a bribe or any form or any undue consideration and this was the beginning of my problems with Mr Jaure. “However, in a concerted effort to avoid confrontation I requested Mr Jaure to recuse himself from all my cases as he was conflicted but he vehemently refused,” read part of a statement by the whistle blower.